“Only the true self can be creative and only the true self can feel real” Donald Winnicott. Sara sees yoga, as well as one’s relationship with their practice, as a metaphor for their experience in life (off the mat). Sara believes that the asana practice can provide individuals with the necessary structure and consistency to facilitate a sense of safety, and hence, the ability to explore deeper levels of Self. It all begins with getting on the mat. 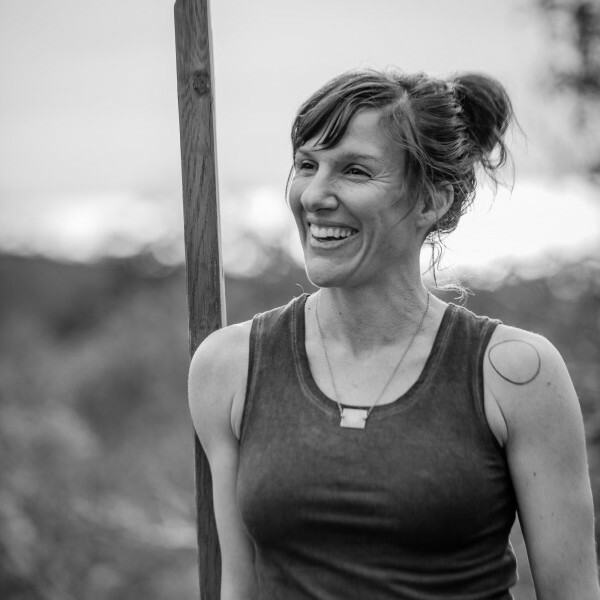 Her classes are rooted in the concepts of breath, focus, mindfulness, and ritual. Sara’s journey with yoga started in the early years of the millennium. Through the years she has dabbled in many different types of yoga; Bikram, Moksha, Power, and various “vinyasa” based classes. After completing her teacher training in 2012, she found her way to an intro week at Ashtanga Yoga New York with Eddie Stern. She recalls this as an “a-ha” yoga moment. It was this experience that lead her to a deeper commitment to her practice as well as an interest in the Ashtanga yoga lineage including practice with Barbara Verrochi and Kristin Leigh at The Shala in New York City. She currently practices with Petra Ledkovsky, is nurturing a home-based practice, and attends any/all local workshops to continue her evolution as a student and teacher. Sara has a BS in Psychology, a Master’s in Art Therapy, and coursework in Psychoanalysis. You will find aspects/concepts of her education threaded into her class. Read a Q&A with Sara here.